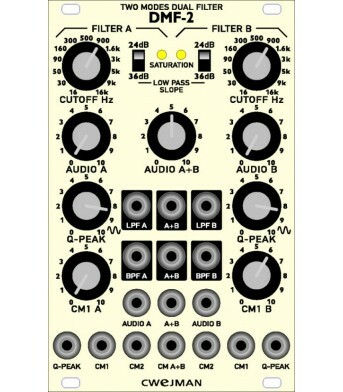 Dual LFOthe d-lfo consists of two identical low frequency oscillators. 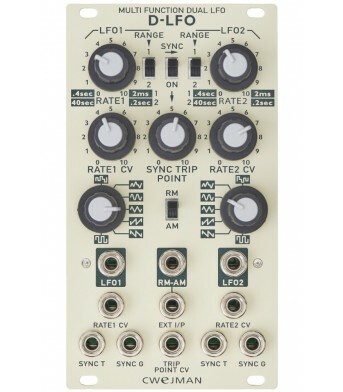 lfo2 can be internally synced.. 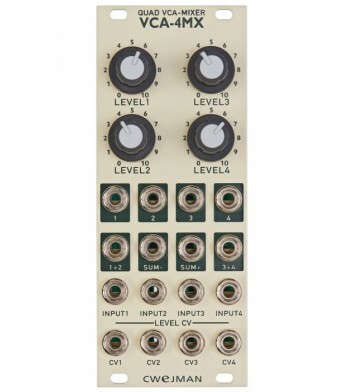 The DMF-2 is a dual mode and dual slope filter and emulates the familiar low pass filter in 4 pole m..
Quad VCA-MixerThe VCA-4MX consists of four individual voltage controlled amplifiers. All amplifiers ..